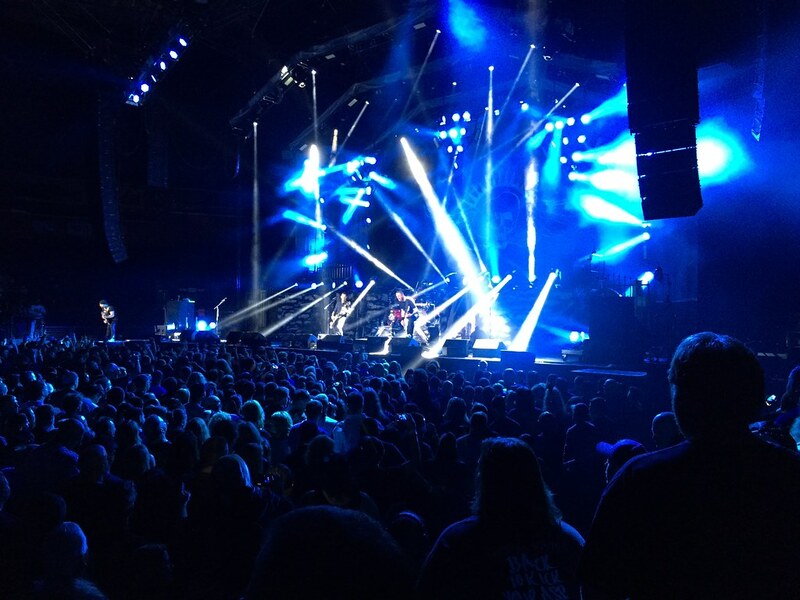 I saw the last Volbeat show they did in the US back in Las Vegas last year. Since then, then have been on hiatus. 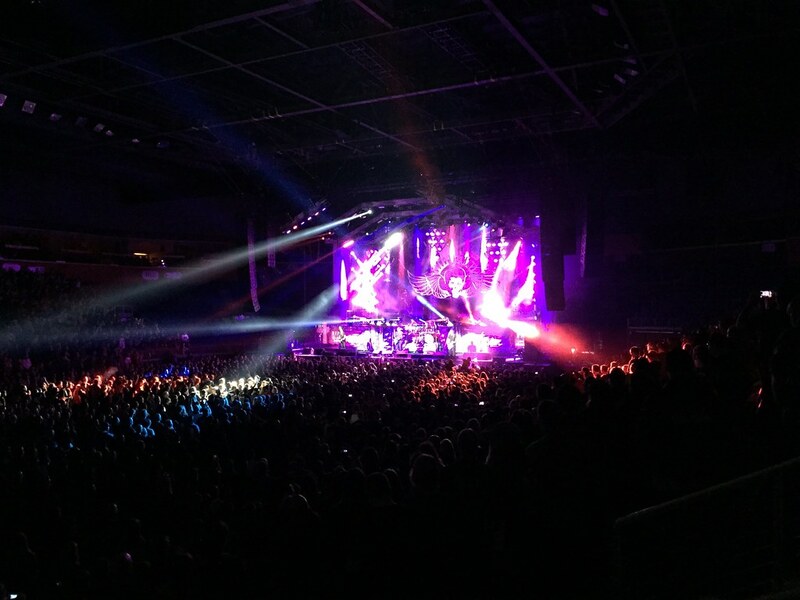 Tonight, they returned to the US for their headlining tour and the first stop was Denver. Do I have rock karma or what? They played in Broomfield which means it is an all ages show unlike those venues downtown. So my concert buddy joined me. 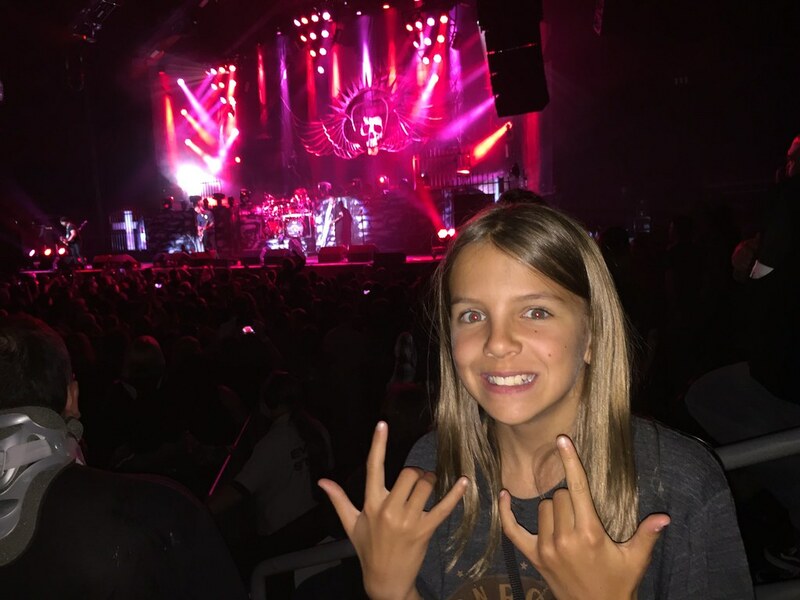 This is actually her 2nd time seeing the band and she was pumped to go and watch them once again. However, I knew it would be a bit different. I usually get her seats but for this show it was GA. She had to go on the floor with me. So we started up front after finding a spot. Stayed there for several songs before I had to move. At her height (hell, at mine!) it is hard to see sometimes down low. So I figured that was enough of the bumping up front, so we retreated to higher ground. 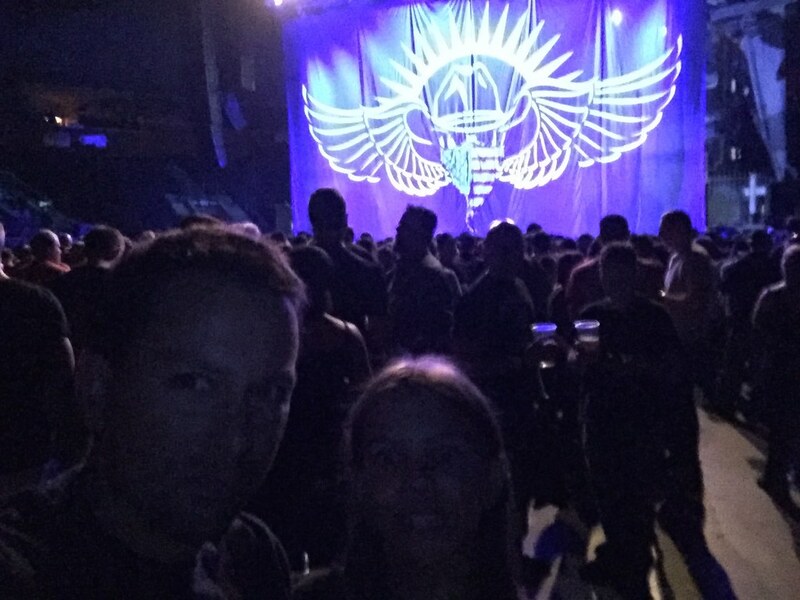 As always, Volbeat called kids up on the stage. We hustled back down but the kid in line before Sydney to go up got cut and so she was too. Bummer. Too far away. The kids get to rock out on one song on stage with the band. Would have been cool. I messed that up. The good news was that instead of staying on the floor, I noticed some 2nd row vacant seats. So we popped in those and finished out the show just a couple heads higher than the floor on stage left. Sydney had a great time and added to her concert t-shirt collection. Oh, the opener was Anthrax. Yes, Sydney has now seen Anthrax. The list is getting longer by the year. I am so proud as a father. They even played a new song for us that they were working on for a future album. It went for about 60 seconds then they killed it. Sounds like they hadn’t finished it. Might I say we were the first ever to hear this given they just came off break? I had my camera rolling. It is the 3rd song in the video.